Amazon is offering the Inateck Ultra-Slim 4-Port USB 3.0 Data Hub for just $7 when you use promo code MAR4PHUB. 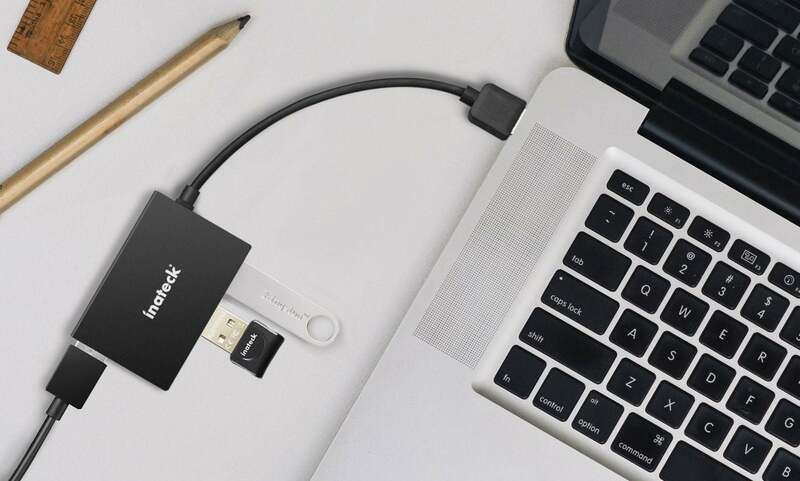 If you’re a frequent traveler and the current about of USB-A ports simply isn’t cutting it, then this Inateck Ultra-Slim 4-Port USB Data Hub is exactly what you need. With 4 USB 3.0 ports, you can be sure that you can connect a variety of USB items including thumb drives, chargers and pretty much anything that uses traditional USB-A. It’s a must have for anyone who needs more than the few ports that ship on most Apple computers. Just be sure to use promo code MAR4PHUB at checkout to get it for $7.